Written by Louise Newton, Eve Watson and Harry Leach. “WE need to invest in our children because they are our future” – that was the verdict of residents after being asked how they would improve Redditch town centre. It comes as the town reels from another series of closures, first the restaurant Piccolo Italia in Alcester Street and now The Music Shop behind Primark. Greenlands resident and Grandmother of five, Judie Newman, said: “The problem is our town centre offers nothing for children and teenagers to do. “Yes we have a cinema but that’s about it. Whenever my grandchildren want to do anything we have to leave Redditch and go to Bromsgrove or even Birmingham. 360 Play in the Kingfisher Shopping Centre is available for children but residents say it’s one of too few attractions in the town to pull families in. When it comes to investing in the town, there are other changes which locals would like to see too. 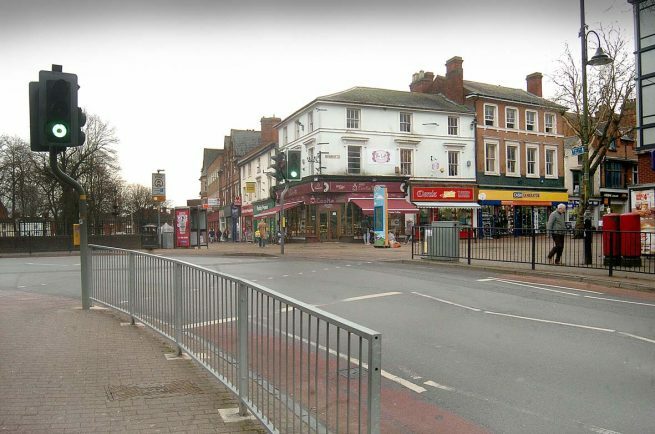 “It’s not just the internet taking over,” said Midlands Fancy Dress employee Amy Lesser, it’s also to do with a serious lack of signposting in Redditch. Lee Moore, owner of the flower shop outside the Kingfisher, added: “We need to draw people to the outdoor market and its independent stalls. The Borough Council is planning to hold a public consultation on the development of the town centre in March. Council Leader Councillor Matt Dormer, acknowledged the dearth of activities for young people, but said he knew the Kingfisher Shopping Centre was working hard to bring in new attractions. “We need to be careful because if we’re not we could talk ourselves into a recession,” he said. “Landlords need to be more sympathetic towards their business tenants as the Kingfisher has been. “We have a new employer coming to the Eastern Gateway creating 1,000 new jobs. More jobs mean more people increasing the vibrancy of the town centre. “We also have some big plans to create a community hub and major investment coming in from the Greater Birmingham and Solihull Local Enterprise Partnership.